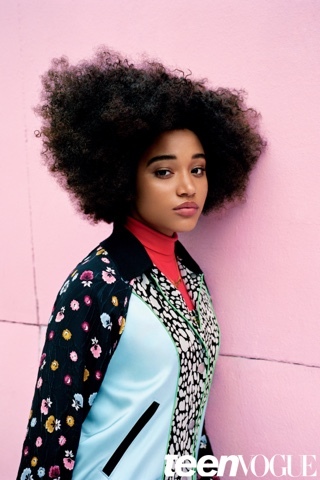 In the February 2016 issue of Teen Vogue, Amandla Stenberg is interviewed by none other than the fabulous Solange Knowles. The two "nonconforming black girls" discuss race, hair and black girl magic. 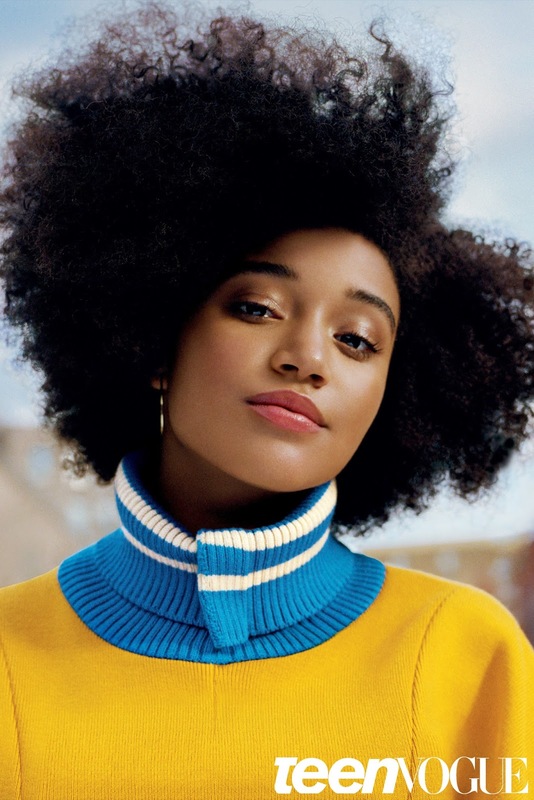 Solo writes: "Our conversation quickly reveals that Amandla knows it all too well: “I think that as a black girl you grow up internalizing all these messages that say you shouldn’t accept your hair or your skin tone or your natural features, or that you shouldn’t have a voice, or that you aren’t smart,” she says. “I feel like the only way to fight that is to just be yourself on the most genuine level and to connect with other black girls who are awakening and realizing that they’ve been trying to conform."